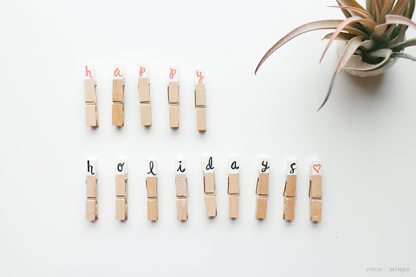 I’ll be taking it easy here on the blog until after Christmas so I wanted to leave you with a quick and easy DIY for all you last minute holiday preppers! 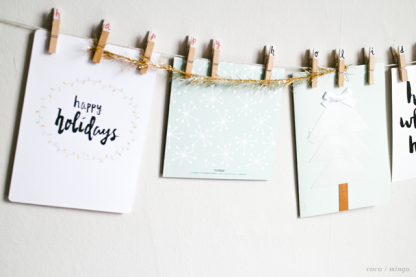 I love snail mail and I have been loving each and every holiday card sent my way this year, and even some handmade pottery mugs! 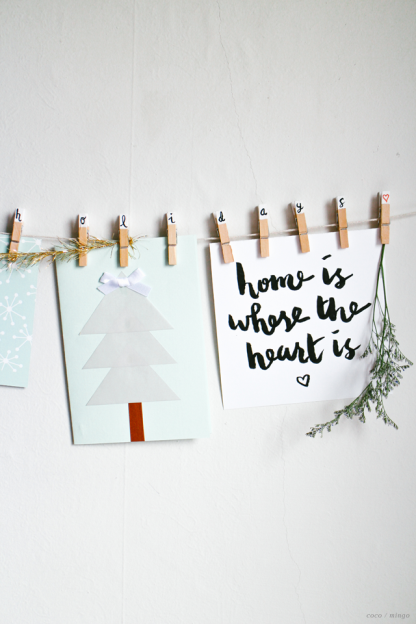 To show them all off, I’ve decided to create these super easy holiday hanging clothespins! Easy enough! 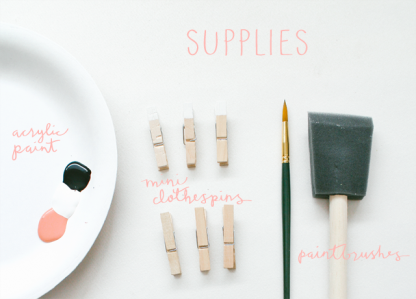 If you’d rather take an even easier route, buy the clothespins already dipped! Check out all the colorful options that my favorite packaging supply company, Thatch & Thistle Supply Co. has got for this! Thank you Corina, for that beautiful, handmade mint-colored Christmas tree card!! All hand lettering by me. 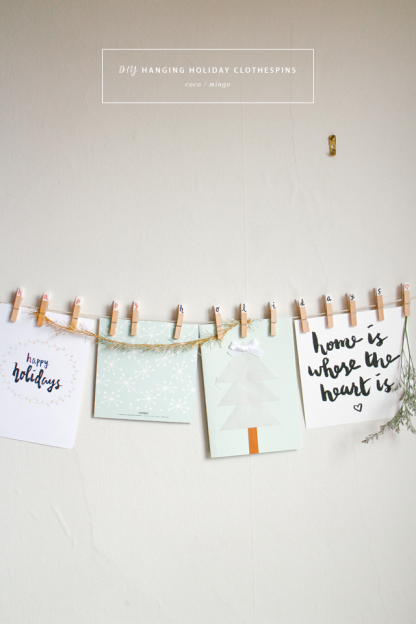 Obsessed with my gold tinsel twine from Thatch & Thistle Co – been using it on all my holiday packaging this year! Check out Minneapolis Web Design Hook Agency for all of your digital marketing needs! 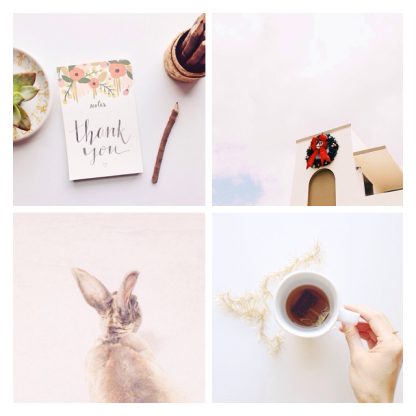 Happy weekend + Max Wanger giveaway winner! Happy Friday, friends! I’m breaking my “no Friday posting” rule for today because I wanted to run over a few updates!! 2 // Many of you were introduced to my sweet Domingo on Instagram while I was on vacation! I’m glad many of you took kindly to this amazing little furry friend who has stolen my heart for the past 10 years and shown me love that I’ve never known before. For those of you who were wondering, Cocoa was her brother who we adopted at the Humane Society. He passed away 2 years ago but I still talk of him as if he were still around ♥. Domingo resides in paradise (Hawaii) with a dear friend who keeps very good care of her and spoils her silly! Yes, I miss her everyday! 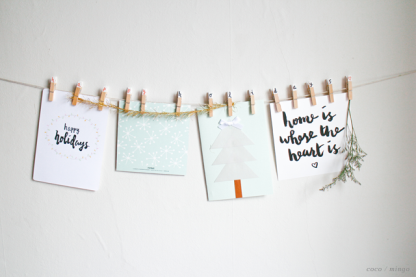 3 // Lastly, a HUGE THANK YOU to everyone who entered the ahhhmazing Max Wanger print giveaway! Wasn’t that one awesome prize?! I mean, I wish I could have just won it for myself! All the giveaways this 24 Merry Days season have been spectacular and I hope you all are keeping up and entering! Only 6 days left! Want to know who won the Max Wanger giveaway? Check who the lucky winner is here! All photos via my Instagram. Are we following each other yet? You know what my favorite type of gifts are? Stocking stuffers! Seriously, ever since I was a kid, my stockings would be stuffed with the best stuff…stationary, pens, pencils, lots of sweet treats, little accessories, knicks and knacks. Oddly enough, my stocking was my favorite “gift” to unwrap! 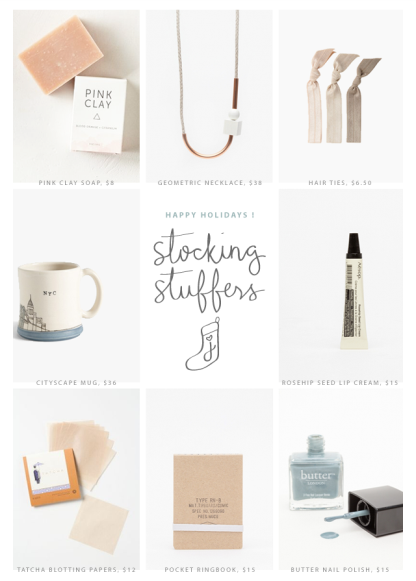 So if you’re a procrastinator like me and still got stockings to stuff, check my stuffer picks out! Check out more of my Holiday Gift-Guide and picks of the season in my online boutique. Or check out our partners at Northface Construction. 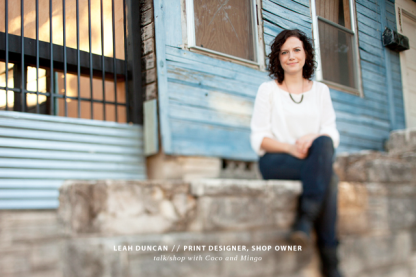 I can definitely say that I’m obsessed with Leah Duncan’s print designs and work. I mean, who wouldn’t be? 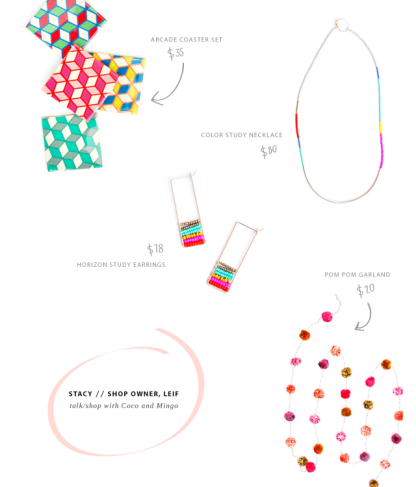 I love her color palettes, geometric and organic prints, and nature-inspired designs. I’m sure you’re all familiar with her gorgeous prints – go check out her shop for any last minute gifts (or rather, New Years gifts)! Speaking of, I can’t wait to see what she has in store for the new year! It was such a pleasure getting to know Leah! She’s such an inspirational person (not to mention, the sweetest!!) and although I always love learning everyone’s tips to their own work/life balance, I gotta say, I seriously need to take some pointers from Leah (it’s so right on!). Continue below to read our Talk/Shop!